This is the most ideal option to grab the latest updates from Microsoft server. In case, you didn't receive the upgrade notification, open the Windows Settings and navigate to Updates & security | Windows Update | Check for updates. If the update is available for your system, you will see Feature update to Windows 10, version 1709, as shown in the below screenshot. Wait until the installation finishes. 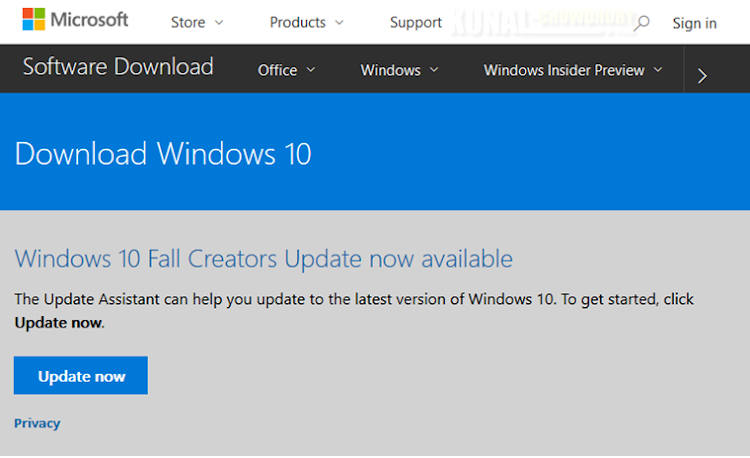 If you still didn't grab the Windows 10 Fall Creators Update, you can download the Windows Update Assistant, which will check your system and configure it. Then you can again go back to Settings | Updates & security | Windows Update and then Check for updates. This will automatically download and install the latest version of Windows, if you are not on metered connection. To get started, click here. This is another way to install the latest version of Windows 10. You will need to download Media Creation Tool, which will allow you to either download the ISO image for offline installation OR to download and install the update automatically. This tool is often used to create the ISO image, which you can burn to a DVD or USB device to boot your system and proceed with the installation. To get started, you will first need to have a license to install Windows 10. To download the media creation tool, click here, and then follow the step-by-step wizard to download/install the update. If you have MSDN subscription, login to your account and find out the suitable edition that you want to download. Burn the downloaded ISO image in a DVD/USB drive and boot your system from it to start the fresh/upgrade installation. 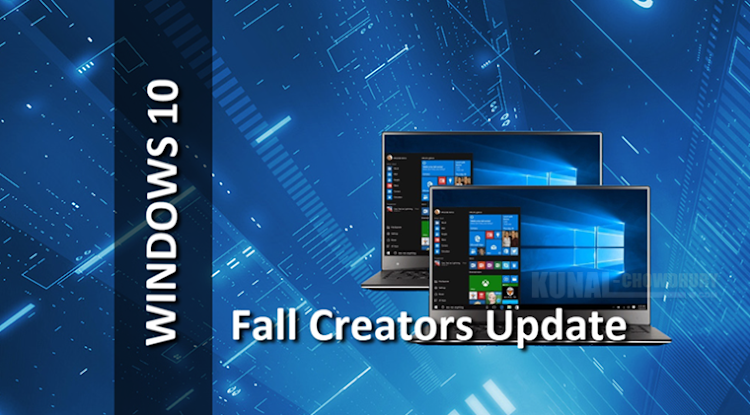 Note: Once you install the Windows 10 Fall Creators Update, check for Windows Update once again to see if any new updates are available. 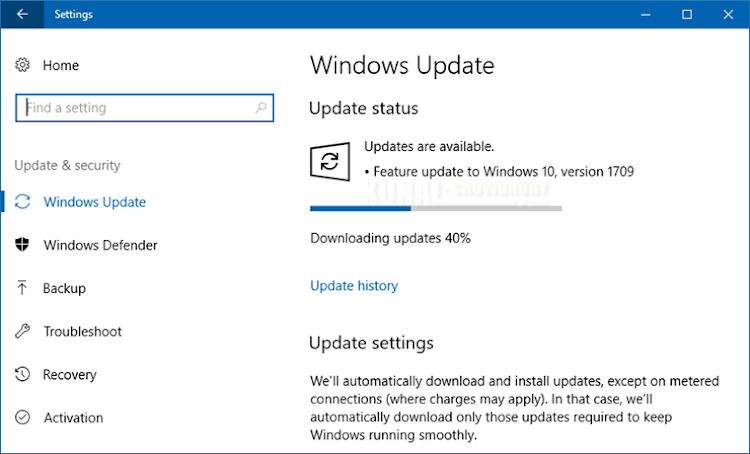 By the time writing this post, a Cumulative Update for Windows 10 Version 1709 is already available and that's released within a day after the final release. If you have come this far, it means that you liked what you are reading (Here's how to install Windows 10 Fall Creators Update).